Pioneer lays claim to the high-ground of the home theatre market with this movie machine. Hands down, it’s the finest 4K Blu-ray player on the planet - and, at £1,899 (AU$3,999, around $2,449), one of the most expensive, too. If you’re upgrading from standard Blu-ray, 4K players don’t get much better than the UDP-LX500. And if you’re a music lover, you’re in luck - the deck sounds as good as it looks! The new DMP-UB700 debuts in the UK for less than its predecessor, but it's still relatively expensive compared to the competition. This is the only Blu-ray player we've seen that can also play DSD audio files, but don't pay the premium price unless you can take full advantage of its advanced features. It may not be a UHD Blu-ray player, but Sony’s dazzling disc spinner breathes new life into your Blu-ray collection while effortlessly playing an extensive range of other sources and formats. LG'S UP970 is the company's first 4K Blu-ray player which will come a full 12 months after the competition. But what does it offer the others can't? The Samsung BD-H6500 is simply the quickest Blu-ray player we've seen, delivering lightning-fast access to your movies on disc and streaming services like Netflix. Sony’s BDP-S6700 is the best Blu-ray player for its image quality, expansive app catalog and ease of us. 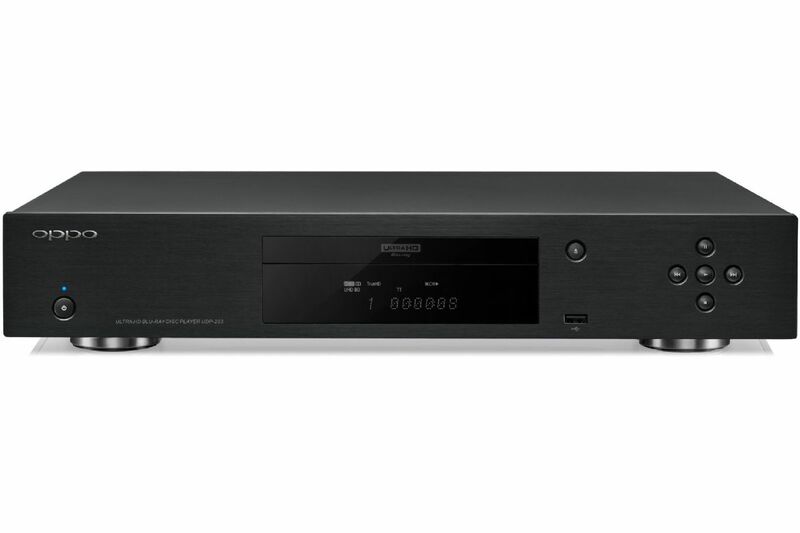 Adding to its high-end 3D capabilities Sony has announced a new entry into its ES line - the BDP-S1700ES 3D Blu-ray player with 802.11n wi-fi, iPhone app, 1080p upconversion, and USB & DLNA support. The LG BP350 Blu-ray player is a budget-friendly option that can double as a streaming box. It has a few hiccups here and there loading apps, but it has impressive video quality. BD-Live: Discs with BD-Live offer additional downloadable, streaming multimedia, or interactive Web content. Some models are described as “BD-Live ready”, meaning that they lack the necessary internal storage to support the feature, you must provide extra memory--a USB flash drive or memory card--to enable the BD-Live feature. If you think you want to use BD-Live, it's best to look for a player with enough built-in memory to support it. Models without BD-Live usually cost less, but there are few available. A/V connections: All players include a High-Definition Multimedia Interface (HDMI) port that can stream audio and video over a single cable. HDMI supports Blu-ray's maximum video resolution as well as all audio formats, including the lossless ones (Dolby TrueHD and DTS-HD Master Audio) that some A/V receivers support, so it's the best way to hook the player to your HDTV. 3D Blu-ray players use newer HDMI 1.4 connections, but can connect to a TV using standard high-speed HDMI cables, which can carry 3D and HD signals. A few manufacturers include an HDMI cable in the box, but with most models, you need to provide your own. Wi-Fi: All current players will include an Ethernet port for a hardwired network connection, that can be inconvenient if it requires you to run a long cable between rooms. A growing number of new models now integrate Wi-Fi, so you can wirelessly connect the player to your network to access the Web for media streaming, BD-Live, and firmware updates. You should to beware models called "wireless-ready," you need an adapter (called a dongle) to enable wireless connections. The adapter may be included with the player, or you may have to buy it separately. Web Features: Most players make good use of that Web connection. Many Blu-ray players can connect to the Internet to stream movie services from Amazon Instant Video, CinemaNow, HuluPlus, Netflix, and Vudu. You must pay for this content, in most cases through a pay-per-view arrangement. Specific services vary by manufacturer and player, Internet-connected players can access free content from sites such as YouTube, photo-sharing sites such as Picasa and Flickr, Internet radio stations such as Pandora, eBay. Some manufacturers, like Samsung and Vizio, also include widgets that display news, weather, and give you access to social-networking sites like Facebook and Twitter. Then, of course, there's the Sony PlayStation 3, which in addition to being a very solid Blu-ray player, also lets you stream video and play hundreds of games. 3D capability: If you think you want to upgrade to a 3D TV in the near future, you need a Blu-ray player that will play 3D discs. Each major manufacturer has at least one 3D-enabled player in its lineup, many offer more. They can play 3D Blu-ray discs, as well as regular Blu-ray, discs, DVDs, and CDs. Panasonic, Samsung and Sony are all top-tier consumer electronics manufacturer in multiple product categories. Panasonic Blu-ray players have been hailed in past years as solid performers and good values. Their 3D Blu-ray players offer a wealth of advanced features and worth of buying. Sony's 2011 Blu-ray Disc player lineup includes several players. Its PlayStation 3 game console remains among the most powerful Blu-ray players available. Samsung is often an innovator, as it was one of the first to include a Blu-ray player in a HTIB (home theater in a box), and among the first to offer a Blu-ray player with 3D capability. Insignia is Best Buy’s electronics house brand. If you're looking for a budget model, it will be one of your considerations.